The bigger your business is, the more traffic your floor probably receives. Whether you have walk-through traffic or your business is home to hundreds of employees, the floor is usually the number one thing that has to be restored. While tile, wood, and stone are one of the most durable materials for floors, the grout that holds the sections together and the surface itself, can become tarnished and damaged in time. If you have noticed that your floor looks less than perfect, Steam Master Cleaning and Restoration is here for you. 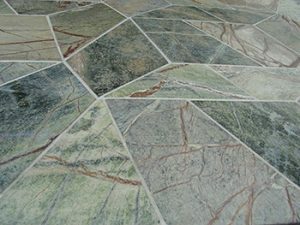 We provide high quality tile cleaning, marble floor cleaning, and wood floor cleaning in San Antonio. Talk to us about your specific flooring type and request a quote for the space you need cleaned and restored. With many years of experience working with commercial businesses, we know how important image is. One of the best ways to enhance the overall appeal of your company is by cleaning your floors. Whether you have wood or tile, stone or marble, your floors can shine like they are new when you use us. From cleaning the grout to polishing the wood, your floors can be transformed with ease. With top-grade commercial equipment and industry-leading techniques, we put the condition of your business’ floors first, ensuring that you are our number one priority at all times. No matter how big of space you occupy, we are dedicated to leaving you with superior results each and every time. With a passion and dedication towards excellence, you can trust us to leave you with floors that you love. With Steam Master Cleaning and Restoration, your floors can look the way you have always wanted them to. Contact us today for your Speedy Fast™ Bid and let the pros take care of you.